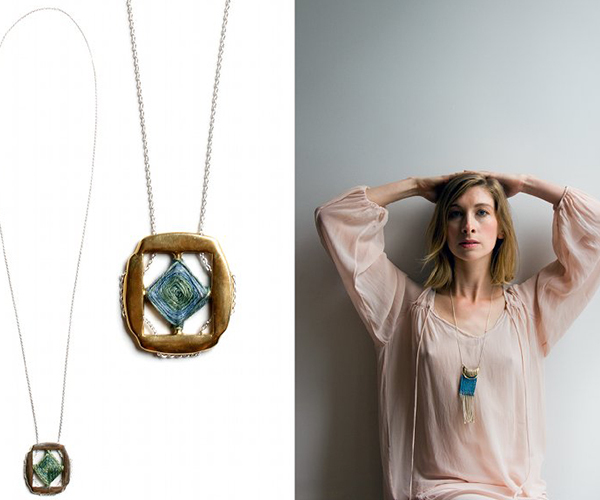 You could say that some of the pieces that Erin Considine creates are necklaces or earrings or bracelets. You could say that they are jewelry but you might be missing the whole picture. 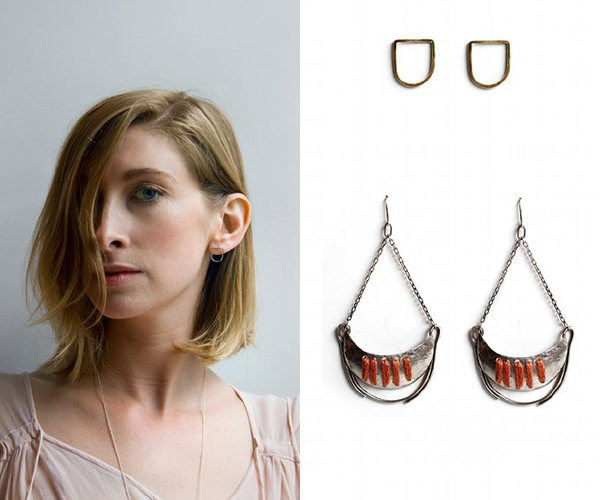 Having an extensive background in both metal and fiber, Erin has created a collection of small scale pieces of wearable art that combines the materials she is passionate about. Her works seem to span continents, cultures, and time. 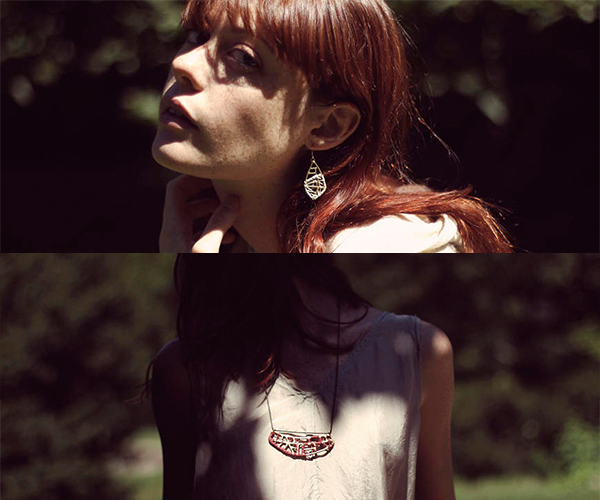 She also places emphasis on sustainability by using found and recycled metals and plant-based natural dyes. 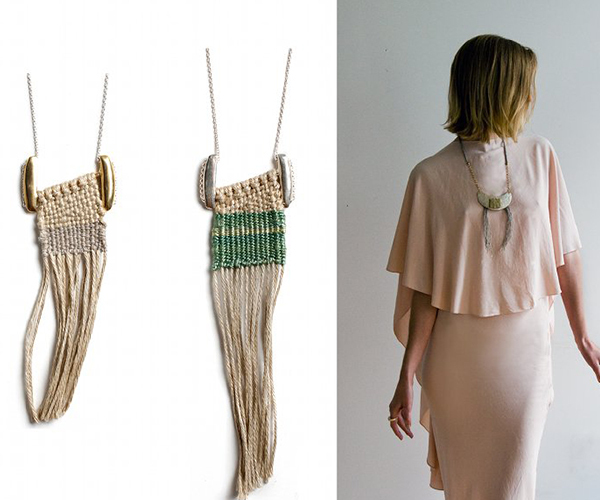 Her materials range from brass and silver to linen, silk, and cotton that she weaves, crochets, or braids together using Japanese braiding style of Kumihimo. All of her work is made in New York.